I still have so many photos and blog posts to share from the 2013 Disney Social Media Moms Celebration held at the Walt Disney World Resort. While you wait for those to come, check out this great recap from Disney Parks of just a fraction of the magic we all experienced this year. Thank you once again to the AMAZING team involved with the Disney Social Media Moms Celebration. What a wonderful event! I am grateful and honored to have been invited. 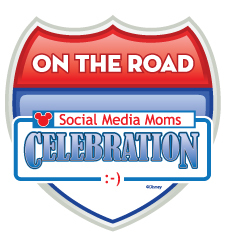 This week’s Disney Social Media Moms Celebration will surely create a lot of online buzz. Follow along with the excitement on Twitter (@DisneySMMoms and #DisneySMMoms) and keep up on the latest Disney Parks news by reading the Disney Parks Blog. I’ll be tweeting and sharing photos on Facebook and Instagram. If you’re attending this year’s Social Media Moms Celebration, leave me a comment and let me know. I would love to connect with you before the conference. Disclosure: I was invited to the Disney Social Media Moms Celebration and am in no obligation to attend or write about it. All thoughts are solely my own and do not reflect the Walt Disney Company. I am not being paid to post about this conference. 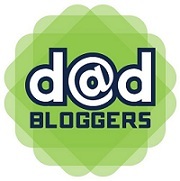 DisneySMMoms 2013 is Almost Here! In just a few more days, my family and I will be traveling to Walt Disney World Resort for the 2013 Disney Social Media Moms Celebration! To helps us countdown this year, certain clues have been featured on the @DisneySMMoms Twitter account. Check out the gallery of clues shared. The last photo recaps our correct guesses. What other clues can you spot? Follow along with the excitement on Twitter (#DisneySMMoms) and keep up on the latest Disney Parks news by reading the Disney Parks Blog.